CTA Fire are an independent fire safety company based in Kent. Since 1985 we have been providing fire safety solutions across London and Kent. Read below to find out more about us. We like to keep things personal at CTA Fire so you are likely to meet all of the in-house team during an installation, design or maintenance project. This includes Directors David Rooney, Sean Knight and Gill Best-Knight who you'll liaise with directly as they manage your project. 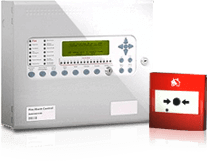 We are a leading provider of fire detection solutions and equipment - our service is second to none for quality and dedication to our clients. Customer service is paramount for us, so we provide flexible and suitable response times in the event of a problem. Furthermore, we are one of few companies with expertise in all aspects of fire alarm system development, from design, to installation, to maintenance, and verification. You can read what our clients have to say about us on our testimonials page. CTA Fire are not only specialists in the field of radio fire alarms and fire detection systems - we offer a number of other services that help ensure your premises remains safe. We install Hochiki FIREscape emergency lighting systems which work in all premises, regardless of size or complexity. We install them to run on back-up power in the event of an emergency and their low-energy LED technology means they're good for the environment too. Fire extinguishers are very important to have on site. We perform maintenance checkups on all the fire extinguishers we install, and we will even replace your current ones if they are the outdated, colour-coded variety. We fit CCTV systems with a variety of features to help keep intruders under watch. Night vision, weather-deterrents, waterproof lenses and anti-glare devices all make up our CCTV product arsenal to help protect your property. Whether you need to limit access to privileged individuals or have your doors react automatically to emergency situations, we are able to install access control and door locking mechanisms to suit your needs. We are on call 24 hours a day with direct telephone lines to engineers and directors who can offer advice and investigate anomalies. All of our system designs are tailored to specifically fit your premises no matter how complex the building or structure is. We are independently audited to ensure our work and procedures comply with current standards. CTA Fire have been third party accredited under the British Approval for Fire Equipment (BAFE) SP203 scheme, as recommended within the Regulatory Reform (Fire Safety) Order 2005. 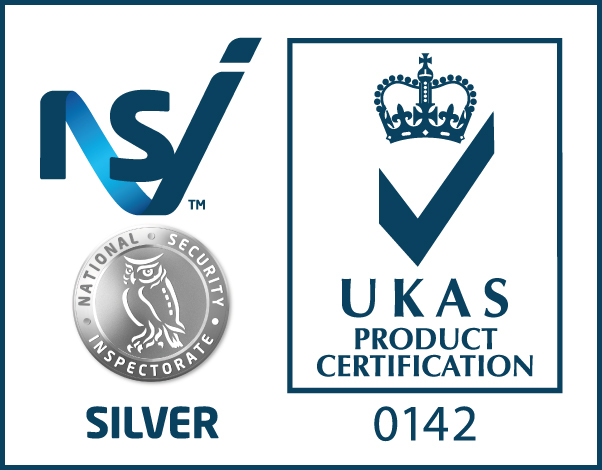 Our involvement in the scheme, as well as sterling inspection reports from the National Security Inspectorate (NSI), ensure we provide the highest standard of quality control and support to our clients. The National Security Inspectorate (NSI) is a non-profit making organisation, created to provide inspection and approval services across various sectors of the security and fire industry. British Approval for Fire Equipment (BAFE) is a non-profit making organisation and operates independent third party schemes of approval for fire protection systems and services. BAFE has developed a fire protection industry scheme (SP 203) for the design, installation, commissioning and maintenance of detection, alarm and suppression systems. NSI is one of the certification bodies participating in the BAFE Scheme and the BAFE Scheme has been adopted as a UKAS sector scheme.